Every once in a while an adversary does something unique or interesting that really captures our attention. The majority of the remote access tools we come across generally run with limited privileges when instantiated on a compromised machine. Privileged access is not required if you are, for example, only going after files that are accessed by general users. However, adversaries who intend to perform more advanced actions that require administrative access, such as loading a kernel driver that acts as a rootkit or conducting password dumping, needed to elevate their privileges on the victim machine and move around laterally across the network. HURRICANE PANDA is a highly advanced adversary believed to be of Chinese origin and known to be targeting infrastructure companies. They have been known to use three other local privilege escalation vulnerabilities in addition to the zero-day discussed here. 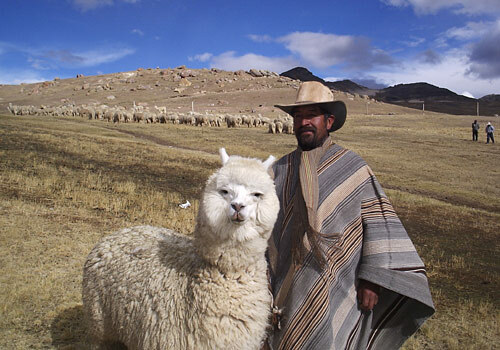 Their RAT of choice has been PlugX configured to use the DLL side-loading technique that has been recently popularized among Chinese adversaries. Perhaps their most outstanding technique has been the use of free DNS services provided by Hurricane Electric to return an attacker-controlled IP address for lookups for popular third-party domain names. HURRICANE PANDA is known to use the “ChinaChopper” Webshell, a common initial foothold for many different actors. Once uploading this webshell, the actor will typically attempt to escalate privileges and then use a variety of password dumping utilities to obtain legitimate credentials for use in accessing their intelligence objectives. 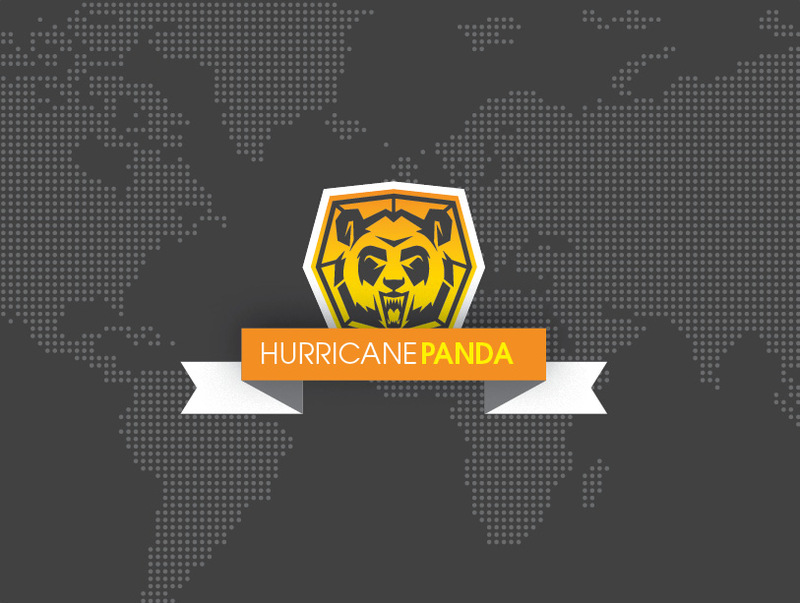 CrowdStrike has been battling HURRICANE PANDA on a daily basis since earlier this spring, when the adversary was first detected on a victim network and evicted from that network by CrowdStrike Services Incident Response team. Since then, they have been trying to regain access on a daily basis. These attempts begin with compromising web servers and deploying Chopper webshells and then moving laterally and escalating privileges using the newly discovered Local Privilege Escalation tool. When these attempts occur, they are instantly detected by Falcon Host and the adversary is stopped in their tracks. This oftentimes resulted in attackers humorously mistyping their commands as they feverishly worked to try to bury themselves into the network knowing that they have preciously little time to work with before being shut down. Several times the attacker called the wrong single-letter executable (“hsotname” instead of “hostname” and “romote” instead of “remote”) in a panic to achieve their objective before they were kicked out. One of many unique capabilities of Falcon host is its lateral movement and credential theft activity detection, which provided us and the victims with instantaneous full visibility into all adversary activity and preventing the adversary from getting a foothold in the network. The following output demonstrates how this tool can be used to start a command shell with administrative access rights. The exploit code is extremely well and efficiently written, and it is 100 percent reliable. The adversary has gone through considerable effort to minimize the chance of its discovery — the win64.exe tool was only deployed when absolutely necessary during the intrusion operations and it was deleted immediately after use. The build timestamp of the Win64.exe binary of May 3, 2014 suggests that the vulnerability was actively exploited in the wild for at least five months. This security bug affects all x64 Windows variants up to and including Windows 7 and Windows Server 2008 R2. On systems with Windows 8 and later variants with Intel Ivy Bridge or later generation processors, SMEP (Supervisor Mode Execution Prevention) will block attempts to exploit the bug and result in a blue screen. 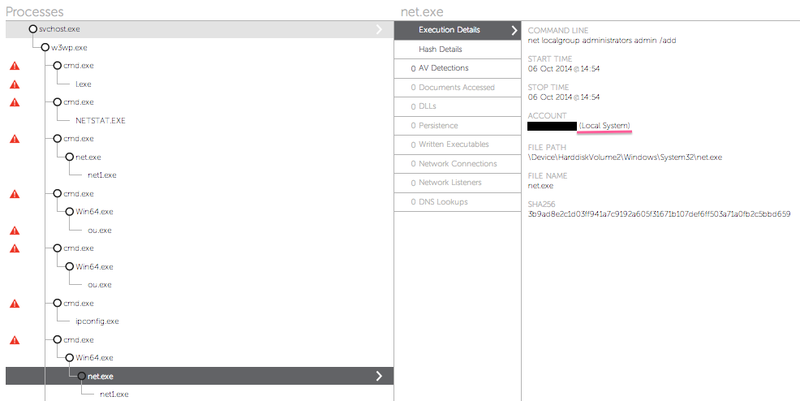 We reported this vulnerability to Microsoft who assigned the common identifier CVE-2014-4113 to it. Today, Microsoft published security bulletin MS14-058 and issued a patch that fixes the vulnerability. The YARA signature below fires on samples that attempt to exploit this bug. description = "CVE-2014-4113 Microsoft Windows x64 Local Privilege Escalation Exploit"
Detection for this attack is already available for all CrowdStrike Falcon Host and Falcon Managed Protect customers – no further action is needed. Analysis of the weapons and techniques of an adversary allow us to better understand the Tactics, Techniques, and Procedures used. With this understanding, we can leverage intelligence and next-generation security tools such as Falcon Host to stay one step ahead of the adversary. If you want to hear more about HURRICANE PANDA and their tradecraft or any of the other adversaries that CrowdStrike tracks, please contact: sales@crowdstrike.com and inquire about Falcon Host, our next-generation endpoint technology, Falcon Intelligence, our Cyber Threat Intelligence service, or CrowdStrike Services, our incident-response and proactive response service offerings.